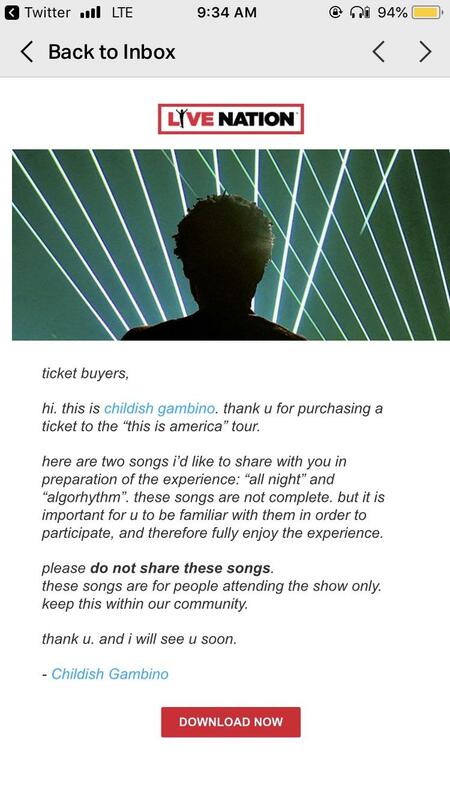 “These songs are not complete"
Childish Gambino has reportedly sent two new songs to his devoted fans who bought tickets to the upcoming ‘This Is America’ tour. A Reddit post reveals that the rapper sent new tracks ‘Algorhythm’ and ‘All Night’ to fans – but he’s urging them to not share the new material. “These songs are not complete”, he reportedly wrote in an accompanying note. On Sunday, the Donald Glover persona released the animated video for ‘Feels Like Summer’, which features a shedload of cameos.